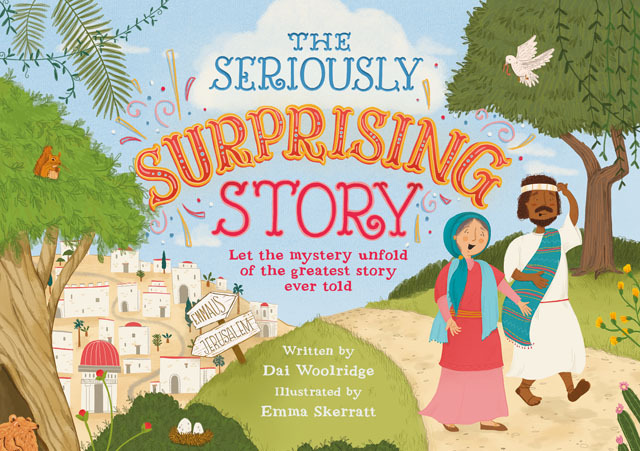 This Easter Bible Society is giving away 85,000 copies of The Seriously Suprising Story, the next booklet in their popular children’s series. Following on the tails of The Well Good News of Christmas and The Super Cool Story of Jesus, these three little books will have reached 285,000 kiwi kids nationwide by the middle of this year. The Seriously Surprising Storydraws children into the biblical story of Easter as they walk in the footsteps of Jesus’ followers on the road to Emmaus. There they encounter a stranger, and talk to him about events in Jersusalem. Just as the disciples were surprised, so children are too when they learn the stranger is Jesus himself! “The positive message with the rhythmic text and lively illustrations, make it a perfect book for young children. It’s also good news for the child in adults like me,” she said. Bible Society’s latest campaign is only possible, once again, thanks to the generosity of its supporters. Making the Bible accessible and encouraging interaction with it is Bible Society’s mission. The Seriously Surprising Story is available online atwww.surprisingstory.nz. Individuals can order up to 5 copies at time while churches can place bulk orders of up to 200 copies for their Easter activities. Copies of the book are also available at some Salvation Army Family Stores. In addition, there is a poster and an animated version of the book, both available on the website. Other Bible Society Easter resources are also available. Sarah Richards heads up Bible Society New Zealand media unit. At this time of year, the sun sits directly facing our front windows highlighting the dirt that had previously gone un-noticed and reminding me of what my next job is—to clean my windows!